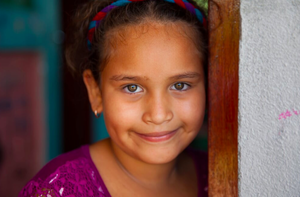 As a volunteer in Nicaragua, you will have the opportunity to make a lasting impact on the community of Limón! FIMRC's pediatric and women's health clinic serves as home base for all volunteers where you will work alongside our clinic team during daily operations while also assisting with extensive community outreach efforts. Our program is open to volunteers of all ages and educational or professional backgrounds. As our sites are open year-round, volunteers are welcome to travel at any time and for any length of time. 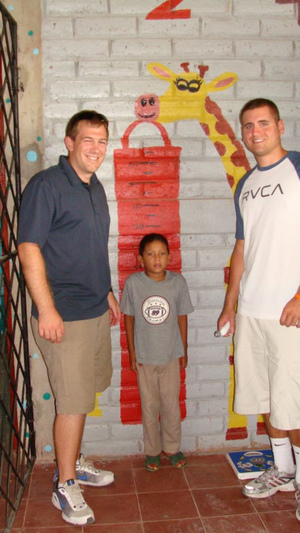 We accept volunteers traveling individually as well as groups of various sizes. Over the course of your trip you'll receive an unfiltered experience in health care field work abroad, and learn about the tremendous impact that even one person can have. At our end, so as to maximize your contribution, we will tailor your experience based on current needs, your interests, training, and amount of time that you spend with us on-site in Limón. All volunteers will find a wealth of opportunities to make a difference! You will have the opportunity to participate in both the clinical and health education aspects of operations on-site, and activities can range from working in our lab to observing the peditrician to conducting home visits in the community. FIMRC’s Pediatric Health Program provides a unique opportunity to experience acute and preventive health care through working alongside the region's only pediatrician, assisting with patient intake, creating and distributing health education materials, and streamlining data tracking and institutional memory practices. Project Limón has recently expanded its services to also include a Women's Health Program, providing OB/GYN services twice a week, creating new opportunities for volunteer involvement. Volunteers may also have the opportunity to provide basic assistance at the Las Salinas Health Post, including taking vitals, working alongside nurses and pharmacists, and assisting in examinations at the discretion of the clinic’s physicians. Volunteer activities also include community outreach initiatives such as prenatal home visits, glucose testing for diabetics, and conducting assessments for the developmental program. Preventive community health outreach is a major component of the service we provide to patients and families. Through this initiative, volunteers play a crucial role in delivering dynamic, engaging health education sessions to children and adults alike. Volunteers will host educational community discussions on a variety of general health topics such as basic hygiene, parasite prevention, and dental health. 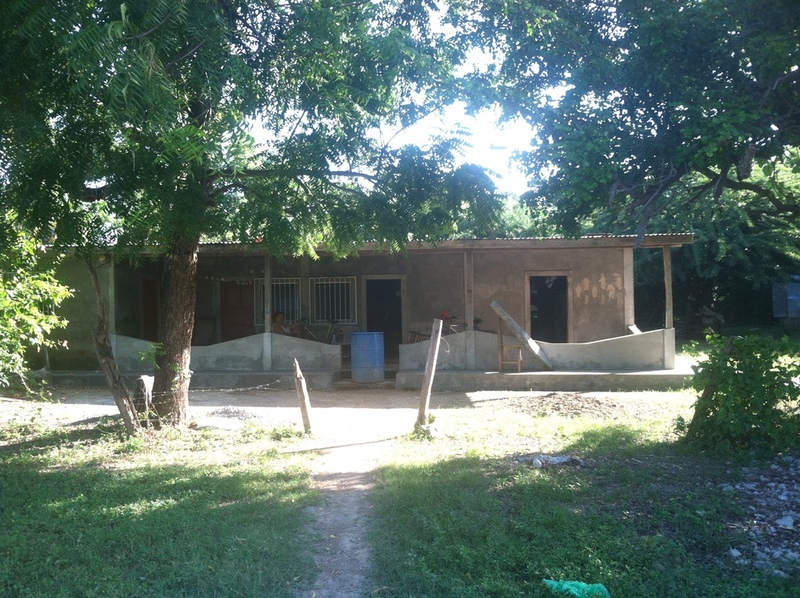 The nature of a volunteer mission to Limón will vary depending on the number of volunteers in each group, the length of the volunteer trip, respective proficiencies in Spanish, medical expertise, and the current needs of the community and the clinic upon arrival. Please note that a volunteer’s level of training will determine the extent of involvement in medical activities. Your experience varies depending on these factors, but what we can guarantee is that every volunteer mission will be culturally and socially enlightening. 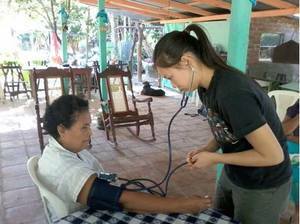 Every volunteer will have opportunities to examine Nicaragua’s systems of medical provision and contribute to ongoing operations at Project Limón. Want to hear from our former volunteers? Check out our testimonials page to hear more about the FIMRC experience! The following is a sample itinerary of a one-week volunteer mission with Project Limón. This itinerary has been made to provide a clear, general impression of the way volunteer time is spent. Please note, however, that in order to ensure that a volunteer's work has the greatest, most relevant impact on clinic and community, volunteer schedules are established upon a volunteer's arrival at the clinic. Physical therapy sessions for "Los Pipitos"
Volunteers stay in one of two options depending on group size and length of stay. The first and more frequently used option is a FIMRC approved home stay with a local family. Homestays are located within walking or biking distance of the clinic. Our Volunteer Coordinator screens all host families and ensures that all FIMRC standards are met. Volunteers are asked to indicate all housing preferences, including meal requests and pet/food allergies in the enrollment forms. All houses are clean and comfortable. All transportation is provided by reputable hired drivers with outstanding safety records. Upon arrival at the Managua airport, volunteers are met by a FIMRC approved driver, and are transported to their lodging. Private transportation is provided for each volunteering day to the clinic site and all other volunteering locations, as needed. Volunteers who are taking part in our homestay program receive three home cooked meals per day. The meals tend to be traditional Nicaraguan food and often include a mix of rice, beans and protein. A vegetable or salad is also often served on the side. Breakfast and lunch are provided for volunteers receiving hotel accommodations. Dinner is the responsibility of the volunteer. Accommodations can be made for volunteers with specific dietary preferences. The cost of your program includes the program donation that supports our project sites as well as housing, food, & transportation. Transportation includes airport pick up/drop off, while meals include breakfast and lunch for the duration of the volunteer’s stay (and dinner if with a homestay). Excursions and trips for non-volunteer related activity as well as the associated costs are the responsibility of the volunteer. By arranging lodging, food, and transport for you, we enable you to safely experience the local culture and focus your energy on the work you will be doing in the community! 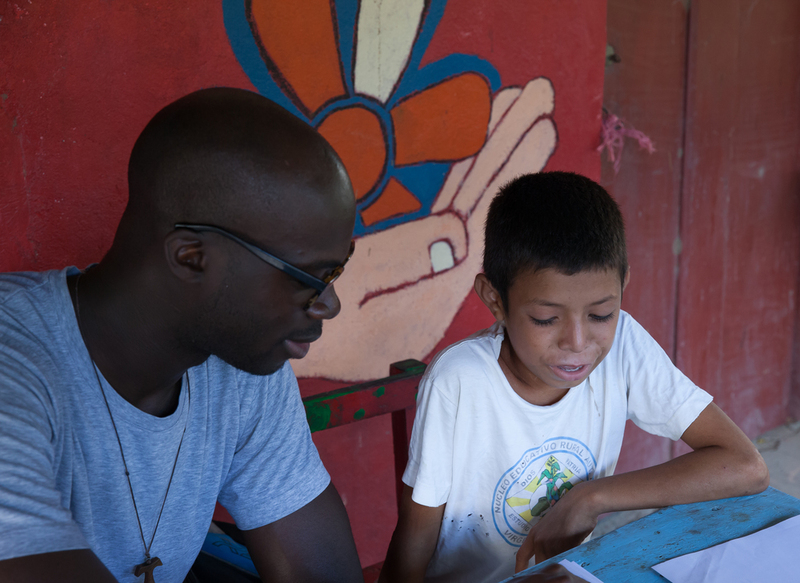 For long-term volunteer experiences, contact missions@fimrc.org to discuss a discounted cost structure. All volunteers are responsible for arranging and purchasing their own flights and must fly in and out of Augusto C. Sandino International Airport in Managua (code MGA). It is the volunteer’s responsibility to arrange all flights in accordance with the dates for which you have registered. If you are traveling with a group, please coordinate with your fellow group members to ensure that you arrive and depart together. Travel time between the airport and project site is approximately 4 hours. A late flight arrival and/or early departing flight may result in an overnight stay in Granada, which is covered by the program fee paid to FIMRC. While not required, volunteers are welcome to take advantage of the airfare resources found here on our website. Passport - US citizens can enter Nicaragua with a valid passport with at least 6 months of validity from the date of travel prior to the expiration date listed. Volunteers who do not hold a US passport must check with their respective embassies for information on travel eligibility. Volunteers are responsible for obtaining or renewing their passports and ensuring that all travel documents are in order. Visa - US passport holders are not required to obtain a visa prior to travel. A tourist visa can be purchased at the Managua airport upon arrival in-country. Non-US passport holders should check with their respective embassies for current visa requirements and regulations. Volunteers are responsible for ensuring that they are legally eligible to travel abroad. Vaccinations - We refer all volunteers to the information provided by the Centers for Disease Control at www.cdc.gov/travel for the most up to date vaccination recommendations. Please note the different recommendations not only for the country you are visiting, but also for the region in which you will be staying. FIMRC has partnered with Worldwide Risk Management (WRM) to assist in providing you with adequate international travel and medical insurance. WRM specializes in providing international health insurance to mission groups, volunteer organizations, and individuals traveling overseas for missions and humanitarian relief. FIMRC and WRM would like to suggest the Outreach Travel Medical Insurance product as the most appropriate insurance plan for your traveling needs. It is designed for the individual short term volunteer traveling for five days and up to 12 months. Outreach Travel provides medical benefits, emergency evacuation, terrorism coverage, natural disaster benefits, trip interruption, and lost luggage benefits. These are just a few highlights and coverage depends upon the plan that you choose. If you would like to get a quote or are ready to purchase, click here. If you should have any questions about insurance coverage or would like a no obligation quote, please do not hesitate to contact FIMRC’s insurance agent at WRM at info@worldwiderisk.com. Please provide your age, date of birth, country of citizenship, destination country, dates of trip, and trip cost when requesting a quote. There's no better way to truly learn about a different country than by immersing yourself fully in the culture and a community. We're dedicated to programs that are sustainable and locally driven. Volunteering with us means that you'll be able to contribute in meaningful ways that will last well beyond your time on-site. Whether you're filling out a medical school application, applying for a job, or just looking to give back, we're here to help you gain experience in responsible international healthcare and development. The enrollment process begins once you work with our team to confirm your volunteering site and trip dates. Upon confirmation, you will be sent a welcome email which will contain instructions for enrollment, as well as deadlines for the submission of materials. If you have questions about how this process works, do not hesitate to contact missions@fimrc.org or 1-888-211-8575. Click below to receive more information or to begin the enrollment process!